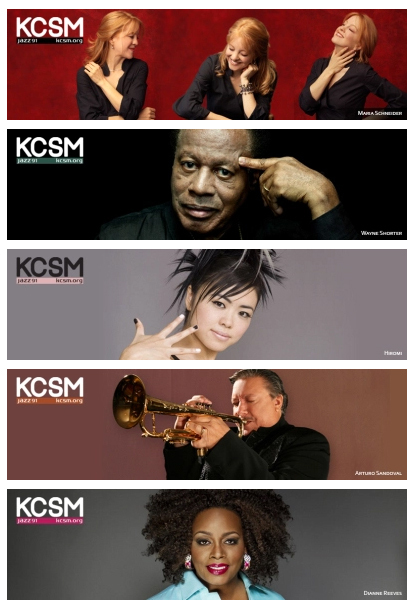 The Bay Area is home to KCSM, one of the nation’s very few 24/7 jazz radio stations. It is a small nonprofit, funded through listener contributions, and faces many of the same marketing challenges as larger organizations. Morphist led several initiatives to update the station’s identity and communicate its stories through print and electronic media. A compact 6-panel piece introduces readers to KCSM and its programs, with a persuasive pitch for contributions to this legendary public station. We developed a powerful new KCSM brand identity system, which was put to immediate use on the website, in e-mail marketing and in print. Morphist conceptualized a set of website headers to reflect the diversity of vocal and instrumental programming heard on the station.